James Thring has been described by the Jewish Chronicle as “an anti-Zionist activist who has been vocally supported by former Ku Klux Klan Grand Wizard David Duke.” More than that, Thring is a straightforward anti-Semite who claims that “the Jewish lobby has so much power,” and once featured in a revisionist pro-Nazi documentary. As well as being vocal in support of former Libyan dictator Muammar Gaddafi, Thring associates with former members of the British National Party and the National Front through the “New Right” society, notorious for its Holocaust denial and anti-Semitism. 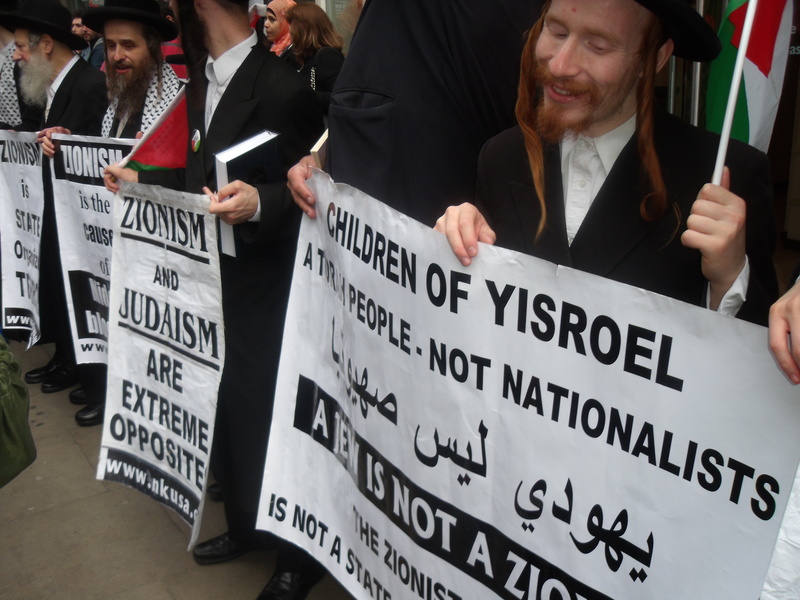 Protesting alongside Renouf and Thring in London were members of the extreme Neturei Karta sect, who previously turned up to demonstrate in support of the Hungarian fascist party Jobbik. 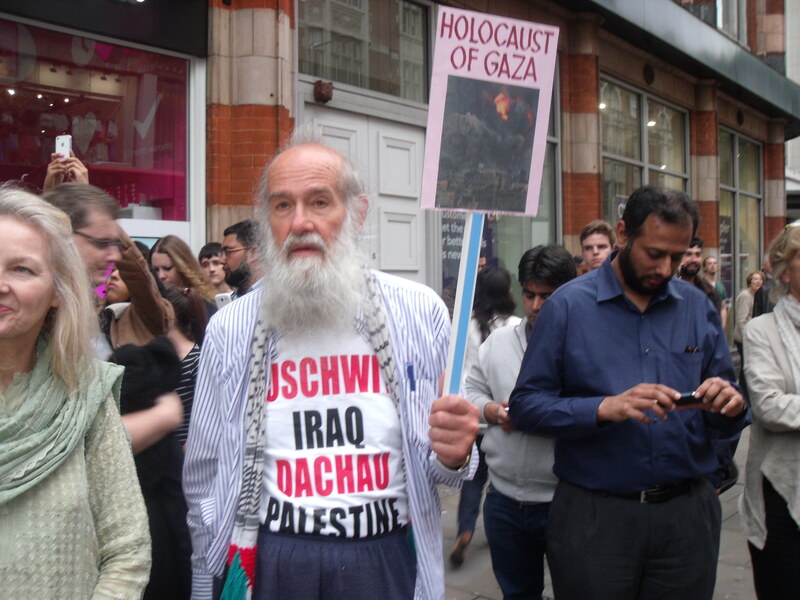 In 2006, Neturei Karta’s UK branch leader Ahron Cohen stated that those Jews who perished in the Holocaust “deserved it.” In the same year, Cohen attended a major Holocaust denial conference in Iran – where he was warmly embraced by then-president Mahmoud Ahmadinejad – and spoke alongside former KKK leader David Duke. Well if exposing crimes of vile Zionist murderers is antisemetic in your eyes , then sorry to disappoint you that majority of world population is anti Semitic & proud of it. World has recognized the ugly face of Zionist terrorist and only matter of time before war criminals like Natan-pig-uahu will face the justice. You can’t hide your crimes by shouting anti semetism any more.